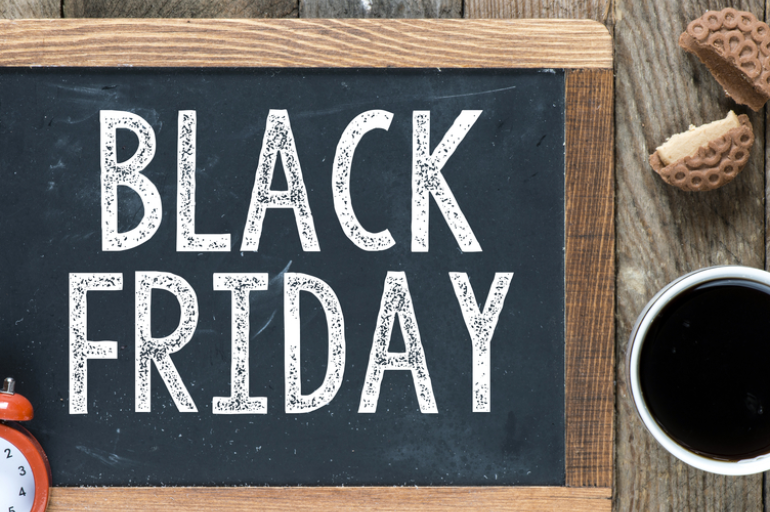 As the year comes to a close, now is a good time to sharpen the saw, come up with new ideas and inspiration that can shape your sales goals in the upcoming year. Reading books is one of the most effective ways to achieve this. Taking the time to dive into a well-researched and insightful book can provide you with techniques and frameworks to take your sales game to the next level. All highly successful founders, CEOs and sales leaders are voracious learners and most attribute their success to reading, among other habits. 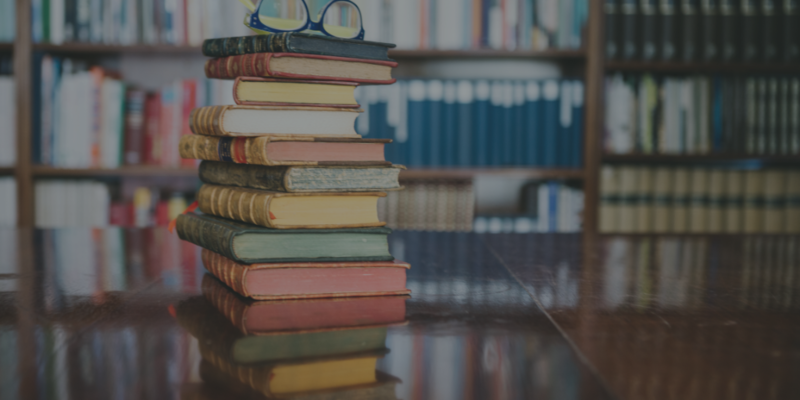 To help you in this journey, we have put together a list of 20 books written by the brightest and the most successful sales leaders. These books will disentangle the obscure and demystify the questions you have, making you more knowledgeable and successful. The success of any business-to-business company depends on how effectively it acquires new sales pipeline. The answer is simply Sales Development. Trish Bertuzzi draws on her immense experience of leading sales teams for three decades to reveal some of the best ways for B2B companies to generate pipeline and achieve growth. The book true to its name is a playbook offering step-by-step tactics and strategies for building, managing and leading a modern sales team, thus making it the most relevant book for today’s modern B2B sellers. 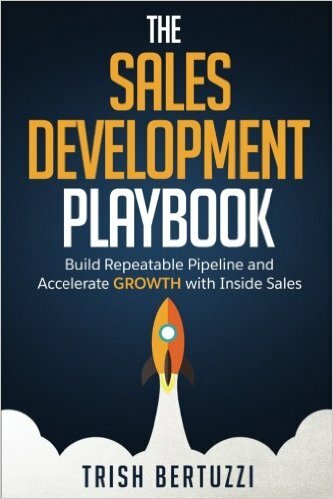 The book presents six elements for building new pipeline and accelerating revenue growth with inside sales. Many sales leaders have termed this book as “The sales development Bible” and hailed it as a true gem. Sales is a science as much as it is an art! In today’s B2B world, it is becoming more and more essential for sales leaders to embrace a metrics-driven climate to achieve success. Mark Roberge, who literally engineered sales success at Hubspot reveals the tactics that he used to build a sales machine that generated a $100 million business. He unravels his success formula of utilizing metrics and processes for scaling sales, predicting growing revenue streams and building a winning sales team. 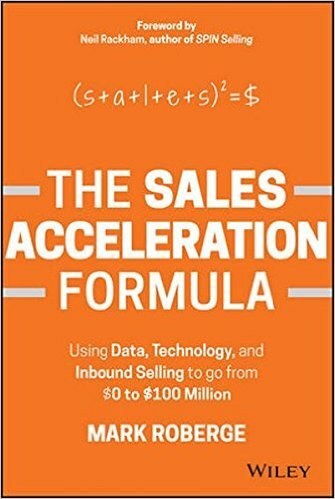 The book will help you understand how to apply data, technology, and inbound selling to every aspect of accelerating sales, including hiring, training, managing and generating demand. So this is the book to be picked up if you are looking to build a metrics and science drive sales team. Sales is no longer an art form, it is a process that can be predicted and there exists a formula to do that. Everyone wants to land the big fish. 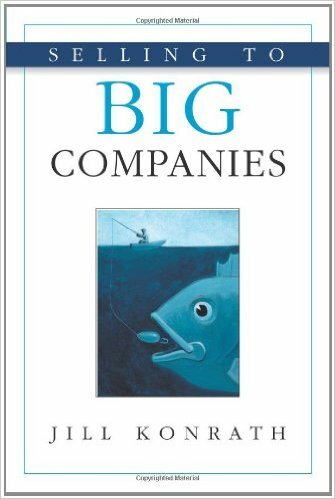 Jill Konrath, from her extensive personal experiences reveals essential strategies on how to approach those ‘Big Companies’. The book provides advice on the best way of talking to corporates on challenges that should be overcome and should be avoided and on exploring the process of selling from preparation to pitch. The book is segregated into three parts. 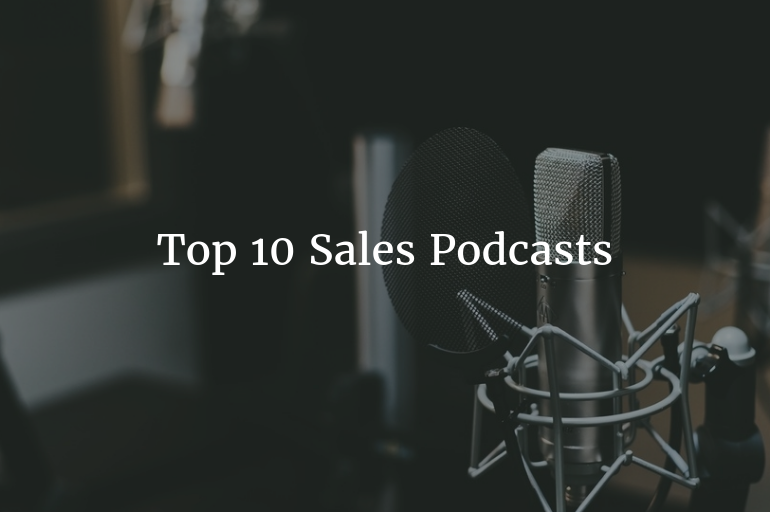 Part one talks about what is required of you to be able to approach those ‘big’ companies with a sales pitch. 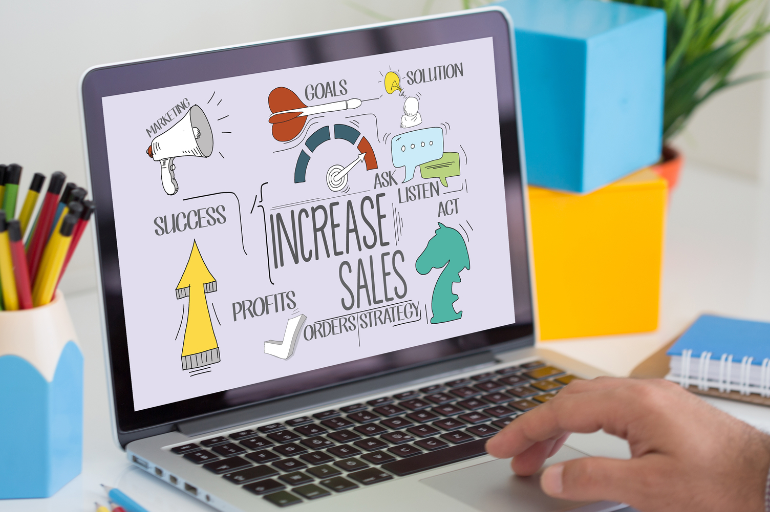 Part two is a detailed explanation on how to lay the foundations to build a cohesive, comprehensive, and cost-effective system for effective selling. And part three speaks about how to launch your sales campaign and execute it to perfection. Why do people buy? That should be million dollar question for sales people. In the world of sales, people are more worried about how to sell and often fail to look at the other side of the coin, why do people buy, says the sales guru David Gitomer. In his book he focuses on the “why” behind people’s buying habits and aims to demystify buying principles for salespeople. The book offers answers to just about every sales question a salesperson could ask and serves as a tool-kit for sales people. There’s a reason this book is described as little. The book is short, sweet and the advice given is to-the-point. Red is the color of love. If you don’t love what you sell, sell something else. Red is the brightest color. Shine bright in order to convert selling to buying. Red is the most visible color. You must be visible to your customers with a valuable message, not just a sales pitch. Red is fire. If you’re not on fire, you’ll lose to someone who is. It contains 18 ways to become a sales success, 20 ways to beat a sales slump, 8.5 resources to tap in a pinch, 14 ways to create a personal brand and many more tips. The book is a quick read; you can knock this one out on a plane ride. In today’s world, companies aren’t selling just products and solutions, the reality is that they are selling change. Change is hard for the individual decision makers to buy as it can also be a potential risk. So the companies mostly target buyers who are eager to build a relationship and have articulated needs; this is just human nature. But according to CEB research, the highest performing sales teams focus on customers who are far more skeptical and far less interested. Sounds counter intuitive? The authors reveal research indicating that only a specific type of customer stakeholder has the credibility, persuasive skill and will to challenge the others to embrace change. The book unveils tools that will help you distinguish the “Talkers” from the “Mobilizers” in any organization. The book presents intriguing observations and recommendations about 1. Buyer dysfunctionality – the difficulty buyers have in making buying decisions. 2. Who has the most impact within the customer to facilitate the process? 3. Good discussions on how we may present insight gaining and nurturing customer interest through the buying cycle. Your success or failure as a salesman also depends on who you challenge. The Challenger Customer delivers on the “What”, “Why” and “How” to execute that challenge and win in today’s buying climate. 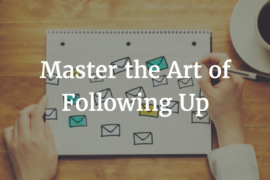 How can you tune up and soup up virtually every part of your business by spending just an hour per week on each key impact area you want to improve? Chet Holmes, considered as one of the top 20 change experts in the country, offers one simple advice to do that: Focus! Many people often try something that looks a great idea in a half-baked way. They are then disappointed with the results and decide to move on to the next big thing. Chet emphasizes that you zero in on essential skill areas and channelize all your energy to master them to create that big difference. You will learn to blow away both the competition and your own expectations that will put you and your company on a path to success and help you stay there. The book is an easy read, powerful and inspiring. 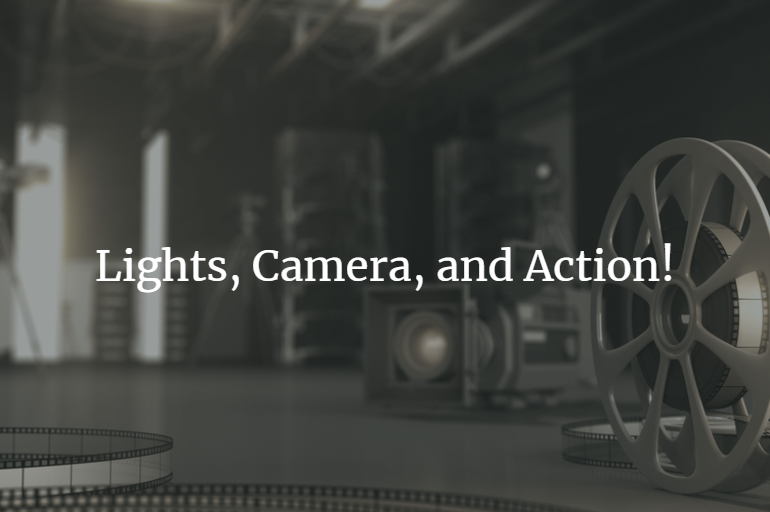 It puts a lot of emphasis on action. Pick up a copy, read it and put the ideas to practice with utmost focus to transform into a champion. 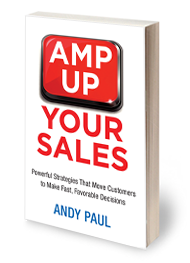 The book is heavily steeped in research with Neil and his team studying more than 35,000 sales calls made by 10,000 salespeople in 23 countries to understand sales performances. The book imparts knowledge on why traditional sales methods developed for small consumer sales, just won’t work for large sales and why conventional selling methods are doomed to fail in major sales. It will enable readers to produce sky-rocketing sales performances and dramatically increase their major sales. The book provides details on the stages of a sales call, breakdown of classic closing techniques and their effectiveness, the right way to obtain a commitment from customers, how to uncover and develop buyer’s needs, the SPIN framework and handling objections. 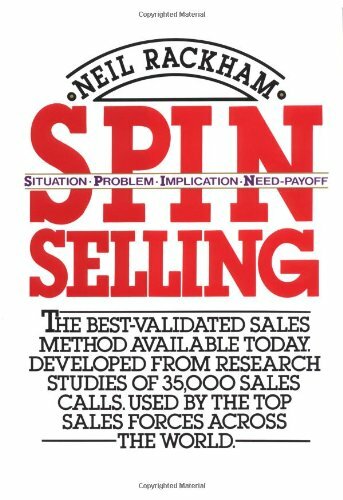 SPIN strategy is an acronym that relates to four kinds of sales questions that can motivate a sales prospect to buy. This is one of the oldest published books but yet it is relevant even today. It is a timeless classic. 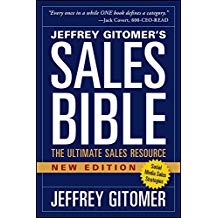 This book is a cornerstone for training all sales representatives. If you are in sales then you MUST read this book. Period. We have written a comprehensive post on how SPIN Selling is relevant in today’s world. You can find it here. Stand out! Don’t be a common salesman. In today’s increasingly crowded marketplace, sales people should themselves become the differentiating factor to find that edge says the sales sage Andy Paul. 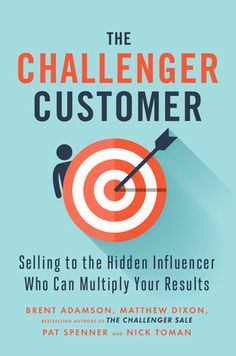 Using his massive field experience and research, he has written a strategic guide that teaches sales people how to set themselves apart and win customers’ trust. You will learn to set yourselves apart in the eyes of the buyers and transform into a trusted salesman who consistently wins new clients. The disseminates knowledge on how to – maximize your selling value, accelerate responsiveness to build trust and credibility, earn valuable selling time with customers, shape the buyer’s vision, integrate persuasive stories into your sales process and build lasting relationships through follow-up and customer service. Pick up a copy to get those customers to say ‘YES’. What does it take for your sales team to generate as many highly-qualified new leads as you want, create predictable revenue, and meet the financial goals without your constant focus and attention? 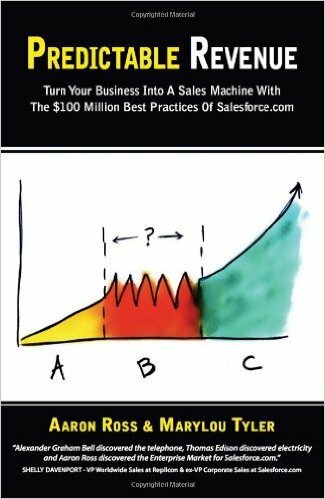 Aaron Ross, who created a sales process which generated $100 million in recurring revenue for salesforce.com, answers it in his book Predictable Revenue. He shares his experience of creating the ultimate sales machine by building effective processes for prospecting and sales pipelines. How an outbound sales process without cold calls can generate a 9% response rate and millions of dollars from cold prospects? The Seven Fatal Sales Mistakes CEOs and Sales VPs make time and time again. How outbound sales and selling can be friendly and enjoyable? 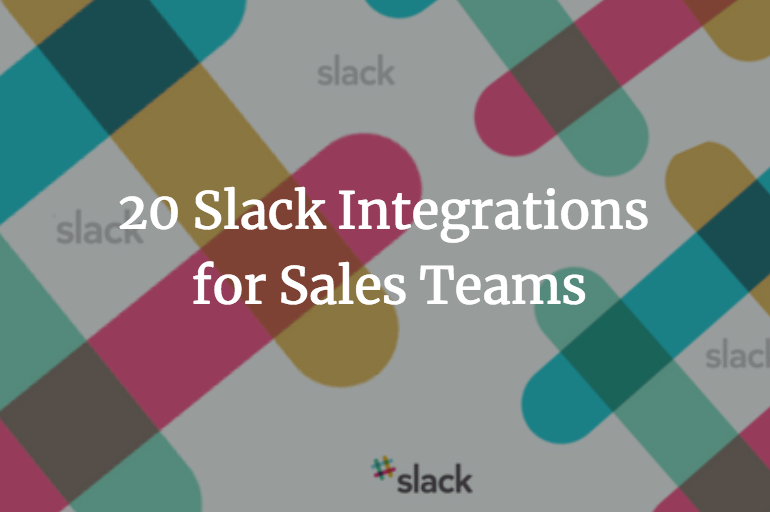 How to develop self-managing sales teams? 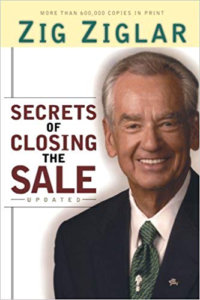 If there is one take away from this book, it is this: Separate your prospectors from your closers. Get this book to start building that sales team which can generate predictable revenue! 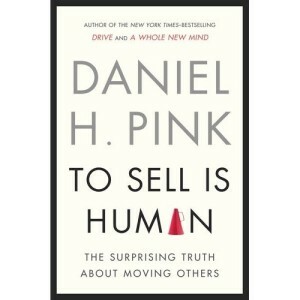 Daniel Pink uncovers a startling truth – ‘All humans are salesmen!’ Daniel explains this intuitively – One in nine Americans works in sales, but so do the other eight says Pink. Whether pitching strategies to employers, courting investors or even trying to talk our children into studying more, all of us spend our days trying to move others. So like it or not, we’re all in sales. To Sell Is Human offers a fresh look at the art and science of selling helping you to refine your sales messages. The book reveals the new ABCs of sales, explains why extroverts don’t make the best salespeople, describes the six successors to the elevator pitch, the three rules for understanding another’s perspective, the five frames that can make your message clearer and more persuasive, and provides many counter-intuitive insights to influence people more effectively. This is a perceptive and practical book that will change the way we perceive the world to be and transform the way we do things. The book is a treat for anyone who wants to be a more effective persuader in work or in life. When Frank Bettger was 29 years old, he was a failed insurance salesman. But by the time he reached 40, he owned a country estate, as a result of some fine foolproof sales principles that he developed and executed to perfection. This book is a narrative of anecdotes and step-by-step guidelines to develop the style, spirit, and perseverance and become a great salesperson. According to Bettger, the first factor of success in sales is being enthusiastic about selling. Secondly, he deployed a sales funnel ideology and metrics in his daily operations that tracked every call, every meeting and the corresponding revenue they were generating. Last, but not least. He talks about the “self-organization day” that he set aside every Friday, where he planned and booked his sales calls with his clients for the coming week or weeks. Zig Zigler was not just a great speaker but an equally entertaining writer and a sales wizard. He viewed sales as a profession of integrity and honor and believed that a salesperson must be a true believer of the product or service that they are representing. 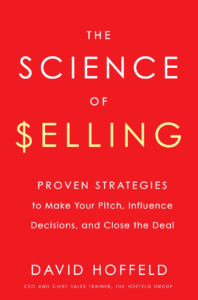 In this book, Zigler takes the readers through dozens of closes and answers hundreds of questions on sales in his folksy style, that help you close deals faster. 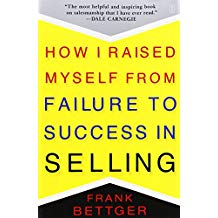 Narrating his experiences, Zigler highlights the mistakes he made as a salesman, for the readers to be wary of and avoid, in their approach to sales. Brian Tracy is one of the most distinguished sales leaders in the world. With over 40 years of experience, he has educated thousands of sales reps to become their best self, authored over 70 books, including many New York Times Best Sellers. 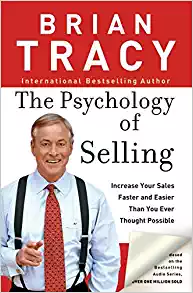 The Psychology of Selling is a classic, that delves into a number of ideas, strategies and techniques for salespeople to sell faster and easier than ever before. 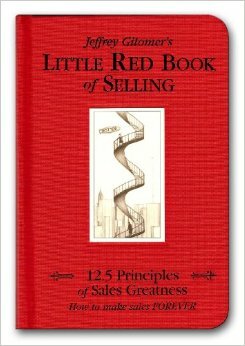 Listed as one of “The Ten Sales books that every person should own and read”, by Dale Carnegie, this book is a magnum opus on sales. The Sales Bible gives you a perspective of sales from a personal side, that involves using your energy, enthusiasm, attitude to make people want to buy what you have to offer. The author brings his decades of in-the-trenches sales experience into the book and teaches you the fundamentals of sales like how to get the attention of prospects, ask useful questions, present your offerings with gusto, overcome objections, and ultimately close the sale. Sell what the customer needs not what you happen to have. Get to know your customer and use that knowledge to make a sale. Become a friend to your customer, since they don’t trust salespeople, but they do trust friends. This book is a great resource to learn about the foundations of sales and a particularly helpful guide in turbulent times as it contains invaluable tips and suggestions on navigating your sales team under poor market conditions. 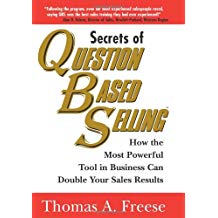 The Question-Based Selling is a strategic methodology in sales created by Thomas Freese based on his experience as a salesman. Thomas was an average sales rep until a personal tragedy, which changed him to look at his sales career in a different perspective – His newfound ambition and drive resulted in developing techniques and frameworks, that catapulted him to the levels of elite salesmen. In this book, Thomas shares his wisdom on how to drive a successful sale using the ‘Conversational Methodology’; which focuses on making fewer statements and asking more relevant questions that helps you close the sale. This book is an exemplary systematic framework, that uses questions as its primary tool to spark an interest, gain trust and build relationships with prospects. 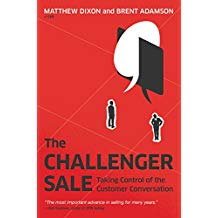 From the six profiles, the Challenger type was identified as the most common trait among the high performing sales reps.
Rather than acquiescing to the customer’s every demand or objection, the Challengers are assertive, pushing back when necessary and taking control of the sale. The reason why the Challenger methodology is so effective is the ease at which it can be implemented to any sales team. The authors explain how almost any average-performing rep, once equipped with the right tools, can successfully reframe customers’ expectations and deliver a distinctive purchase experience that drives higher levels of customer loyalty and, ultimately, greater growth. Cold calling is not only one of the fastest and most profitable ways to initiate a new sales contact and build the business; it’s also one of the most dreaded—for the salesperson and the recipient. Art Sobczak shares his wealth of knowledge from his experience of selling over the telephone since he was 14 years old, to make the process less dreadful and more enjoyable. 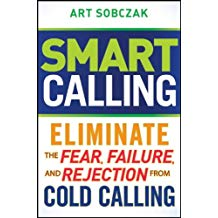 Sobczak specializes in “Smart Calling,” a strategy that offers compelling conversational methods to develop the skills, intelligence, and techniques required for an enriching prospecting experience on the phone. This book reached number one in Amazon’s sales the first day it was listed and was named as the “Best Sales Book” by Top Sales Awards in 2010. Check out our complete guide on Cold calling here. One of the most crucial components in sales is a healthy sales pipeline with a steady flow of leads. That is why finding and implementing the right prospecting strategy is so crucial for any sales team. Jeb Blount understood it well and devoted to creating the most comprehensive guide on the subject. 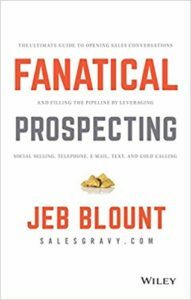 Fanatical Prospecting is an ocean of tips, techniques, and secrets on Sales prospecting that can be practically implemented by any sales teams. 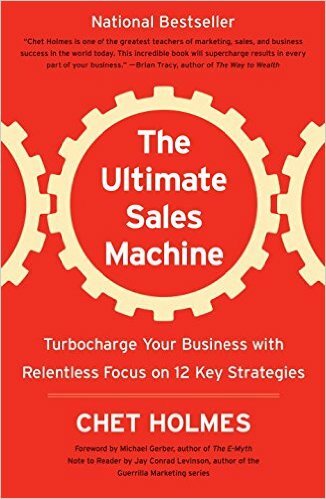 Follow this book and see your sales process blow through resistance and objections, gain more appointments, start more sales conversations, and close more sales. The Science of Selling is a revolutionary sales approach, pioneered by David Hoffeld, CEO and chief sales officer of the Hoffeld Group. Hoffeld is a renowned sales thought leader and speaker and has been featured in Fortune, The Wall Street Journal, Harvard Business Review, Forbes and more. In his book, Hoffeld shares the best practises in sales, that are backed by neuroscience, social psychology, and behavioral economics. What makes The Science of Selling stand out from other books is, while most sales books are based on just anecdotal evidence, Hoffeld gives adequate scientific explanations for every practise suggested in the book, making them highly reliable. Blueprints for a SaaS Sales Organization is a detailed guide for SaaS leaders on how to build a sales organization that works together across the entire customer relationship. 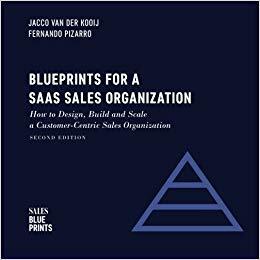 The authors, Jacco Van Der Kooij and Fernando Pizarro worked with dozens of CEOs and VPs and have presented the learnings as blueprints that detail everything from the customer journey, detailed cost analysis, all the way into floor plans for sales operations centers. Customer Centric Methodology: Today, SaaS sales organizations can no longer just be pushing product through volume-based email and call tactics. Instead, they need to focus on evaluating customers and helping them make an educated trade-off, focusing on the quality of the product and customer experience. Picking the Right tools: With the amount of new sales tools available in the market, the leaders have to carefully pick the right set of tools, given the impact they have on the organization. The authors discuss what the ideal tool stack is, for a given business. Skills: The book takes on the need for a clear overview of skills needed, designation wise: SDR, AE, CSM, AM, etc. that aims to excel in the concept called ‘online problem solving’. Content: This part discusses why centering your marketing strategy on inbound campaigns focusing on quality content is the key to a conversation starter in the years to come. Organization: Finally, it addresses building a self-learning organization that can withstand turnover. For SaaS companies, things move at a much much faster pace than traditional businesses. This book is an exemplary guide that gives you insights into the modern SaaS industry based on the blueprints of SaaS organizations. A must read if you want to become a SaaS Sales leader. Are there any books that we missed? What are the books that inspired and made a big difference in your career? Let us know in the comments section!